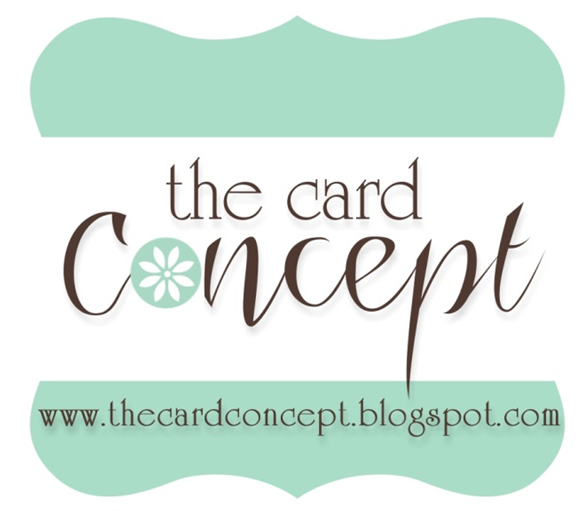 Last week's challenge certainly resulted in another round of very creative cards. Well done everyone. This weeks challenge theme is Snowflakes!! I know there are many wonderful stamps and dies available for these beautiful wee structures, so I am certain there will be more fabulous creations for this Merry Monday Challenge. For my card I white embossed some snowflake stamps on the white background, then I gently 'smooshed' a little colour over the top using Distress and other dye inks. I made sure not to cover the white background completely so the colour remained vibrant. I used dies and a punch to make the 'popped-up' snowflakes. Have a very creative week. What beautiful snowflakes that show so beautifully against the perfectly smooshed background! Love that silver yarn too! Beautiful card, Karen. 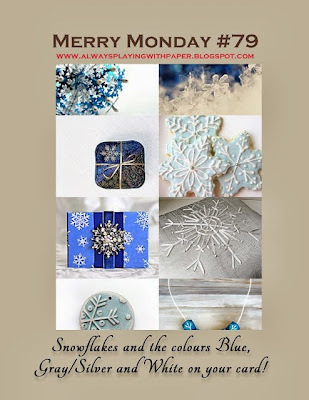 Those snowflake dies are gorgeous and your sponged background is a perfect backdrop. What a gorgeous card, Karen. Love the layering of snowflakes and the pretty silver yarn you used. ALL your snowflakes are amazing....stamped as well as dies! Just beautiful! Simply elegant, such a pretty card Karen, love every detail. Beautiful card Karen, your snowflakes are so pretty and I love the backgound you created. Such a pretty background, Karen! Perfect to set off those great die cuts. Beautiful background for those pretty snowflakes!! I really like the shades of blue.